Web Street Open For Traffic Both Directions July 4 – 8. Mike Carlson Enterprises has announced that their construction work will be suspended, and traffic will be open both directions on Web Street to facilitate traffic during the holiday period of July 3 at 6 p.m. through July 8. A limited number of parking spaces on the side of the street will also be available. 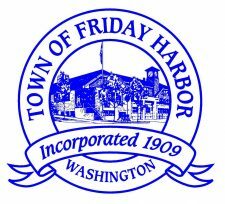 The Town expects that the current construction configuration (allowing one lane of eastbound traffic on Web Street) will return Monday, July 9 at 6:00 a.m. The Contractor has also announced that the intersection of Web Street and Argyle Avenue will be closed on Monday, July 9 from approximately 6:00 a.m. to 2:00 p.m. to accommodate connection of the water main. Drivers are asked to find an alternative route to avoid anticipated delays and closures during the closure.